I have indicated that SEH needs to be overwritten by a pointer to “pop pop ret” and that next SEH needs to be overwritten with 6 bytes to jump over SEH… Of course, this structure was based on the logic of most SEH based vulnerabilities, and more specifically on the vulnerability in Easy RM to MP3 Player. So it’s just an example behind the concept of SEH based vulnerabilities. You really need to look to all registers, work with breakpoints, etc, to see where your payload / shellcode resides… look at your stack and then build the payload structure accordingly… Just be creative. Sometimes you get lucky and the payload can be built almost blindfolded. Sometimes you don’t get lucky, but you can still turn a somewhat hard to exploit vulnerability into a stable exploit that works across various versions of the operating system. And sometimes you will need to hardcode addresses because that is the only way to make things work. Either way, most exploits don’t look the same. They are manual and handcrafted work, based on the specific properties of a given vulnerability and the available methods to exploit the vulnerability. In today’s tutorial, we’ll look at building an exploit for a vulnerability that was discovered in Millenium MP3 Studio 1.0, as reported at http://www.milw0rm.com/exploits/9277. The proof of concept script states that (probably based on the values of the registers), it’s easy to exploit… but it did not seem to work for the person who discovered the flaw and posted this PoC script. Based on the values in the registers displayed by “Hack4love”, one could conclude that this is a typical stack based overflow, where EIP gets overwritten with the junk buffer… so you need to find the offset to EIP, find the payload in one of the registers, overwrite EIP with a “jump to…” and that’s it ? Well… not exactly. 00400000image00400000+0x3734:00403734 8b4af8 mov ecx,dword ptr [edx-8] ds:0023:41414139=???????? ah, ok. Both the SE Handler and the next SEH are overwritten. So it’s a SEH based exploit. print " [+] " . length($payload)." 00400000+0x3734:00403734 8b4af8  mov     ecx,dword ptr [edx-8] ds:0023:4444443c=???????? So SE Handler was overwritten with 43434343 (4 C’s, as expected), and next SEH was overwritten with 42424242 (4 B’s, as expected). Look at the list of loaded modules and try to find a pop pop ret in one of the modules. (You can use the Ollydbg “SafeSEH” plugin to see whether the modules are compiled with safeSEH or not). Ok, that looks promising, however we can see some null bytes after about 32bytes (in blue)… so we have 2 options : use the 4 bytes of code at nseh to jump over seh, and then use those 16 bytes to jump over the null bytes. Or jump directly from nseh to the shellcode. 00403734 8b4af8 mov ecx,dword ptr [edx-8] ds:0023:90909088=???????? #    MMMMMM8. .=MMMMMMM.. MMMMMMMM, MMMMMMM8. MMMMM?. MMMMMMM:   MMMMMMMMMM. #     .,,,..      .,,,,. .,,,,,     ..,,,..   .,,,,.. .,,...,,,. .,,,,..,,,,. # Script provided for educational purposes only. (I might just post the solution on the forum in a couple of days as well). Update : one of the users on this blog/forum (mancu37) has posted an alternative exploit for this vulnerability (based on direct RET overwrite). You can find his PoC exploit at http://www.corelan.be/index.php/forum/writing-exploits/exploit-for-m3u-file-eip-overwrite-additional-excercise-of-tutorial-3-part-b/. Good job mancu37 ! 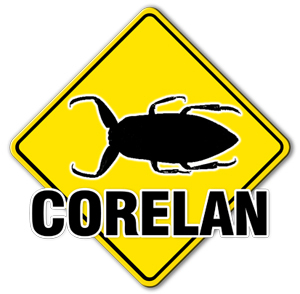 © 2009 – 2014, Corelan Team (corelanc0d3r). All rights reserved. I have practiced and seen those tutorials 1,2,3 and 3B and they are very interesting and very educational. Thank you a LOT for these tutorials :-). Very good, though I noticed hat the file must be have an .mpf extension, rather than the .m3u for the exploit to work. I have successfully got it working with c0d3r.mpf but if I change the script to generate c0d3r.m3u, nothing happens. If I simply rename the file to .m3u from .mpf, it does not trigger the exploit. I like your SEH overwrite. Lacking some important steps. 1) keep in mind when writing your own exploit that you still need to trigger the SEH. 2) if dep, then note that when SEH !exchain will not be allowed to execute stack-based code. This is a really easy thing newbies are not used to but should see it in action so when it happens to them, they know how to identify this technique. 3) application level code/logic may prevent developer from triggering their exploit. For example, what if the input parameter triggering SEH is a UserID and the application only likes ASCII sets (they are checked) – then you have to find and place a good pop/pop/ret that is coming from some module that is usable within ASCII code set. this requires getting good with searching. test what you get with what is expected when your dumping memory to find out why the pop/pop/ret was not working. 4) I windbg “lm” to search loaded mods and find my pop/pop/rets manually, but using metasploit’s msfpescan script against the binairies or loaded dlls is easier. Im old fashioned so I use meta_asm_shell.rb to get opcodes that could do pop/pop/ret equivalents. 5) Using Byakugan compiled for your target helps finding the depth to SEH much faster. pattern_create/pattern_find work too. Or, you can count the distance. If I have a small buffer for my payload after jumping to my shellcode, is there anyway I can find a space that can find a bigger buffer for my payload. As you can see, I only have 112 bytes to play with for a shell. Working on this tutorial parts 3 and 3b was happyness, thanks for sharing your knowledge. A little question though, regarding the offset, where is located the address to the next exception registration record. We use the MSF pattern, and find the offset of the value that overwrite the so called nseh. For me, these offsets are 4105 for mpf, and 4103 for m3u. But they are computed independently of the ‘http://’ prefix. Does this mean that the string we are using while overwriting the stack starts at AAA.A.. and not at http://AAAAA… ? How would you investigate on this ? Cause you have to know this to get the correct offest to nseh. mind posting your question in the forum please ? Thank you very much for all the tutorials and your time!